We believe that everyone deserves to be happier at work. No, really. We also believe that all companies should have access to the very best talent. Touching, isn’t it? Oh! And by the way, we are a bunch of happy-go-lucky visionaries. Jobillico is the winner of the 2016 Mercuriades Award in the Web or Mobile Technology Development category! 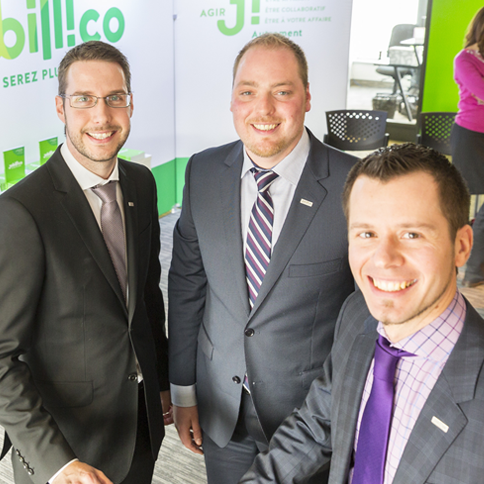 Jobillico is proud of the distinction received for the 36th edition of the Mercuriades, the most prestigious business award in Quebec. Our heartfelt thanks to all the businesses on our network! Collaboration is the force we harness in pushing back the boundaries and in reinventing the world of employment. We’re visionaries with hearts on our sleeves. Together, we want to create a world where people with pure talent can dream big and achieve bigger. A world where companies—big or small—can accomplish stellar results. We’re serious! 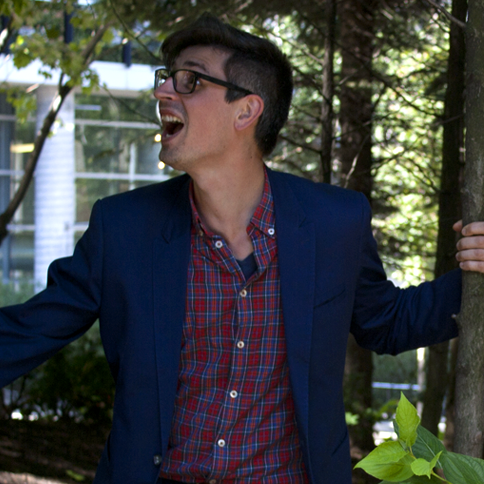 At Jobillico, everyone loves coming to work, even on dreaded Monday mornings. Each week, we help companies improve their day-to-day, giving them the solutions they need to uncover the newest and brightest talent to drive their businesses forward. We also lend a helping hand to star candidates that want—no, need—a new challenge. As is the case with our clients, we settle for nothing but the best. And to be honest, we’re stoked knowing that we are contributing to the world’s happiness coefficient. Are we heroes? No. We’re humble, forward-thinking people that are simply committed to making a difference for people everywhere. Ask what you want to become. And with Jobillico, you shall receive. We love this saying because this is our modus operandi. Have we caught your attention? Would you like to work with us? Well, just click here and see what we have for you! Spreading joy everywhere! We believe in a better world. It was a given. 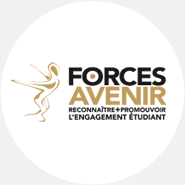 Forces AVENIR reflects our vision of a better world. The organization’s mission is to recognize, honour and promote the commitment of students in projects that contribute to the development of socially conscious, active and responsible citizens who are dedicated to their communities and open to the world. Young people are our future: this is why we are so proud to encourage them to become responsible citizens that are looking to make this world a happier place. CENTRAIDE: Coming together to help. Helping to come together. 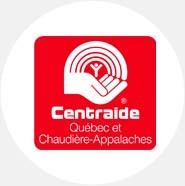 With the help of donations from local companies and populations, Centraide supports a vast network of agencies that help families and individuals to overcome poverty and exclusion—and empower them to change their lives. We selected this philanthropic organization because it reflects our values of improving lives. Centraide is definitely attuned to our goal of increasing the wellness and happiness of people everywhere. FONDATION RÉNO-JOUETS: Youth is golden. So are your donations. Fondation Réno-Jouets is a visionary charitable organization that ensures that toys are recycled and reused—all while raising awareness among children on the importance of respecting the environment. 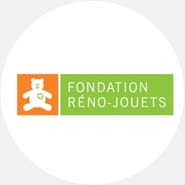 Fondation Réno-Jouets offers recycled and refurbished toys to families in need and sick children. The result? A committed organization that fights against poverty and children’s illnesses. What more is there to say? Giving a second life to toys (Woody and Buzz Lightyear would be proud) so that other children can smile is a great way to spreading more happiness in our communities.